The model’s close relative, the Ultimate CF SLX, has stood at the pinnacle of the Canyon road bike range with multiple Grand Tour stage wins under its belt. This is thanks to factors like its stiffness-to-weight ratio, energy-boosting compliance and watt-saving aerodynamic efficiency. 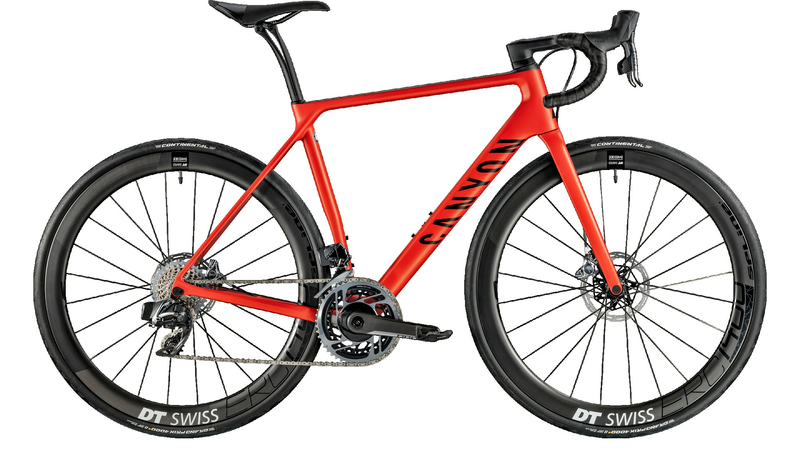 The Ultimate is widely regarded as one of the most complete road bikes available to those who take their two-wheeled steeds very seriously indeed. This version feels even more flighty, thanks to a frame (just 665g – the fork is 270g) composed of ultra-high modulus pitch-based fibres meticulously designed to combine low weight and maximum stiffness with outstanding ride quality. The secret behind the extensively optimised carbon layup, Canyon says, required special permission from the Japanese Ministry of Defence to access. The ultra-high modulus pitch-based fibres enable the Ultimate CF Evo to deliver previously unheard of levels of stiffness and responsiveness at its incredibly low weight level. Each part of the bike, from its fork to its seatpost to its integrated cockpit, has been subjected to the same tests and standards as the rest of the Ultimate range, to create a bike that is meant for the roads, not the trophy case. If you’re looking for a blank canvas the frameset is available for £2,999, or you can go for one of two factory build options; the Ultimate CF EVO 10.0 SL and the Ultimate CF EVO 10.0 Ltd. 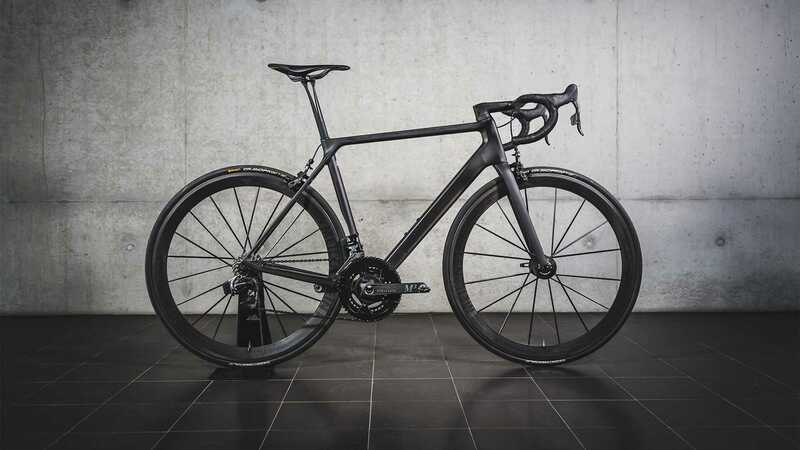 Both come with Lightweight Meilensten wheels and a THM-Carbones Clavicula cranks but the top spec version comes with the SRAM Red eTap groupset (wireless shifting! ), an H36 Aerocockpit, ceramic speed bearings and slightly higher spec wheels, higher spec brakes. You can compare the two side-by-side here for a full rundown. When flat-out speed is all that matters, the Aeroad with a design honed in a wind tunnel would be a better fit. 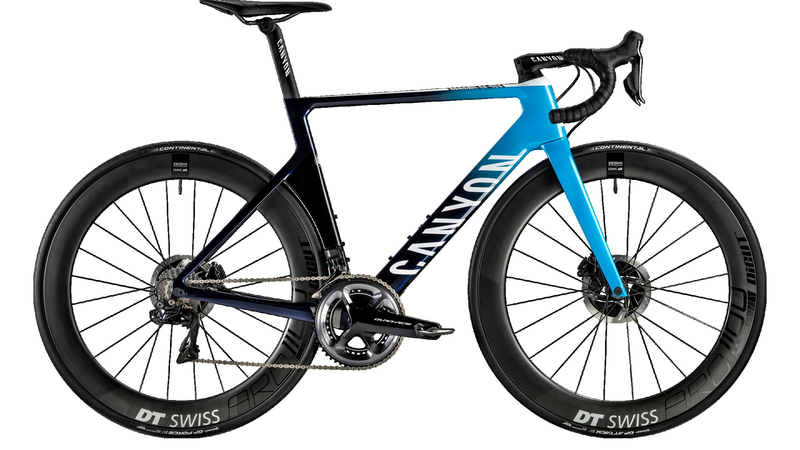 Everything about the Aeroad is dedicated to the pursuit of speed but that doesn’t mean it’s a harsh ride, as Canyon believes comfort is an important part of going fast. The Aeroad is a favourite with many pros on Katusha-Alpecin and Movistar, including 14-time Tour De France stage winner, Marcel Kittel. The aptly named Canyon Endurace is a bike for all seasons and all terrains. It is built around 28 mm tyres, but there’s room for plenty more. In another nod to comfort, the seatpost uses Canyon’s ingenious leaf-spring design, which allows it to flex to take the sting out of the roughest roads. Yet the frame still boasts much of the aero integration of the Aeroad and comes in at a startlingly low weight of 840 g for a size medium.